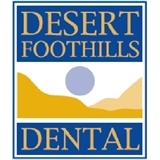 Desert Foothills Dental (Phoenix) - Book Appointment Online! At Desert Foothills Dental, we’ve done everything we can to make your care as efficient as possible, using the highest standards of care. In addition to being a certified sedation dentist office, we also offer comprehensive services all in one location that aren’t always available in other Ahwatukee Foothills dental offices. We want you to feel relaxed while you’re here for your appointment. Each of our treatment rooms is equipped with a television and access to both Netflix and Pandora to help keep your mind off of your procedure. Select your favorite music style or a movie, then sit back and relax while we do the rest! As a complete walk-in, having recently relocated to the area, completely unannounced and with a complex & urgent dental issue, I was given immediate, (literally in minutes), highly professional, one-on-one attention by very highly skilled, knowlegable and attentive Dental Assistants , a very comphrehensive exam including every necessary type X-Ray and testing, followed by a very detailed briefing, tooth by tooth and then a presented a very comprehensive treatment plan by the dental assistant and Dr. Pulley that met my needs, timeline and truly exceeded my expectations. Special recognition and thanks to "Ron", the Dental Assistant who is highly skilled and great bedside manner. Believe me when i say I am NOT easily impressed. So when I say this dental team was impressive on every level, they earned this praise. I highly recommend this dental group to everyone. Robert A.